I enjoy many things about Christmas: the decorations, music, family get-togethers. Christmas can produce many wonderful memories. However, none of those special times mean much without Jesus Christ being the center of our lives. Christ is worthy of that central position. He bought us with a price (1 Corinthians 6:20; 7:23). Too often we rebel at the thought of being owned by God. Oh, friend, being owned by God, Who paid with His only Son’s life, is worth everything. So this during Christmas season, don’t forget to keep Christ at the center of your celebration. 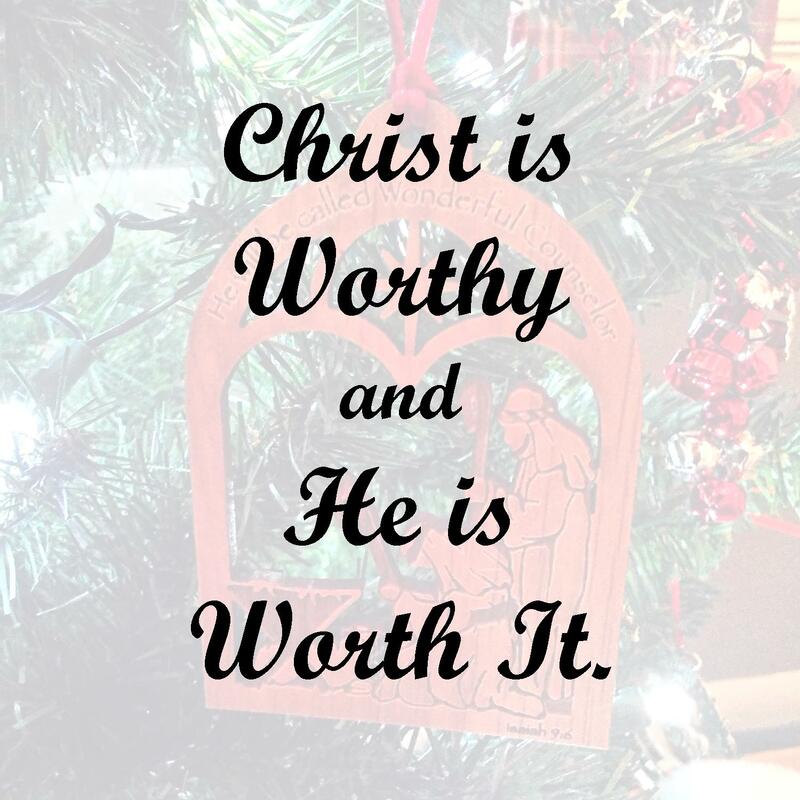 He is worthy and He is worth it.